Before configure or add popup to your content, please make sure that the plugin is published. In the configuration panel of the plugin, we also provide very useful instructions that can help you to use the plugin effectively. 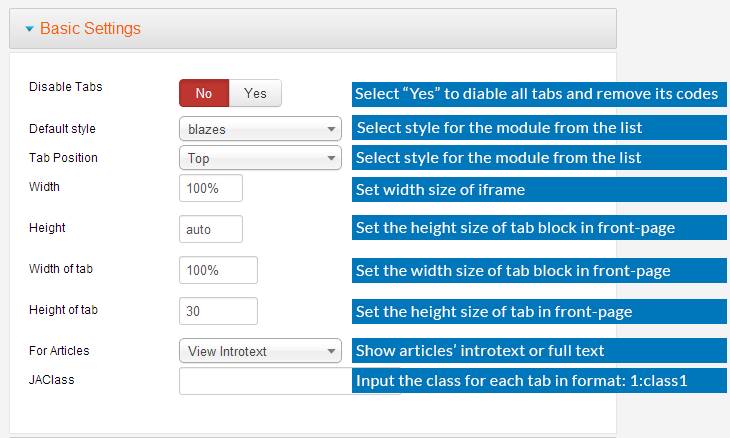 Diable Tabs: if you select "Yes" to disable tabs and remove its code in your content. Default style: select style from the list. 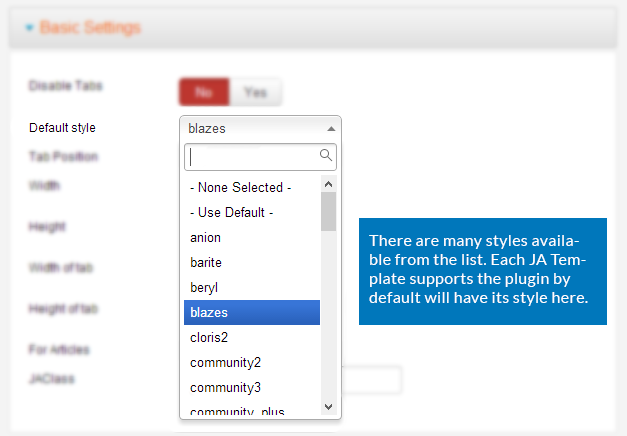 For JA Templates that support the plugin by default, it will have its style in this list, select the corresponding style for your template. If you don't find the style for your template, you can select any style then customize to make it fit your template style. 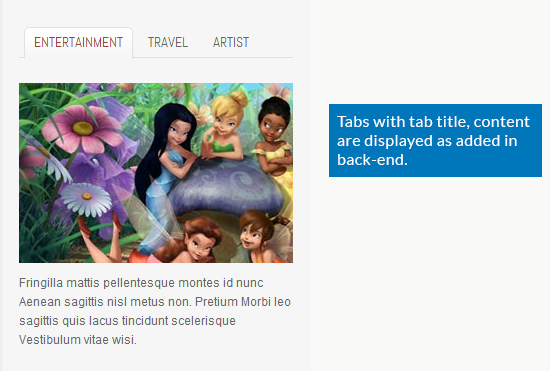 Tab Position: tabs can be configured to be displayed in position: Top, bottom, left, or right. But for each style, we support specific positions, so if the tabs are not well displayed in selected position, you may need to style it. Height: Height of the module block. It can be fixed or automatic. Example: empty or 'auto' or '400'. JAClass: Input the class for each tab in format: 1:class1,2:class2. The supported class depend on the tab style. Please note that, the settings here has lower priority when you add content to tabs. That means the settings in the Plugin configuration panel will be overridden with the settings you added in tags when you add content to tabs. Duration: set the duration for the effect when you change from one tab to an other tab. Effect: set the effect of tabs transition: Fade, Move horizontal, Move verticle or None. Skip Animation: select "Yes" if you want to animation skipped. 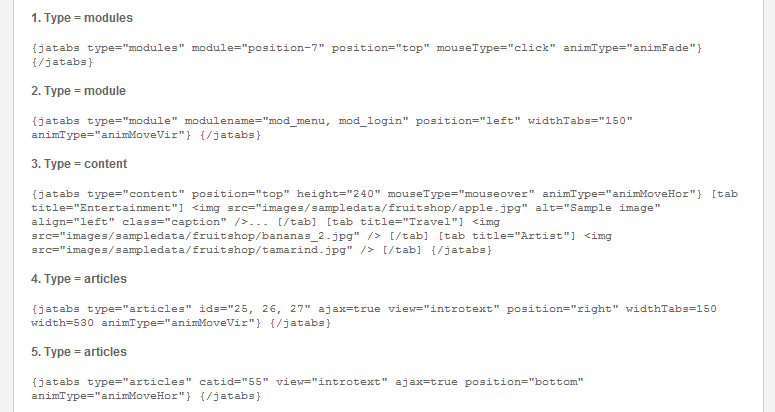 Mouse type: select action to open tab: hovering tab or clicking on tab. 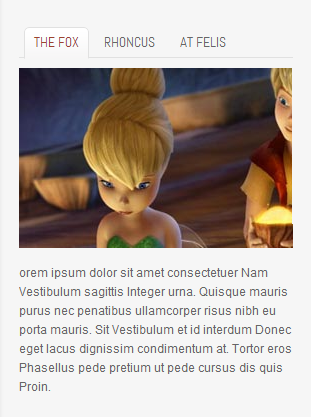 You can add popup to a Custom HTML module or to an article. 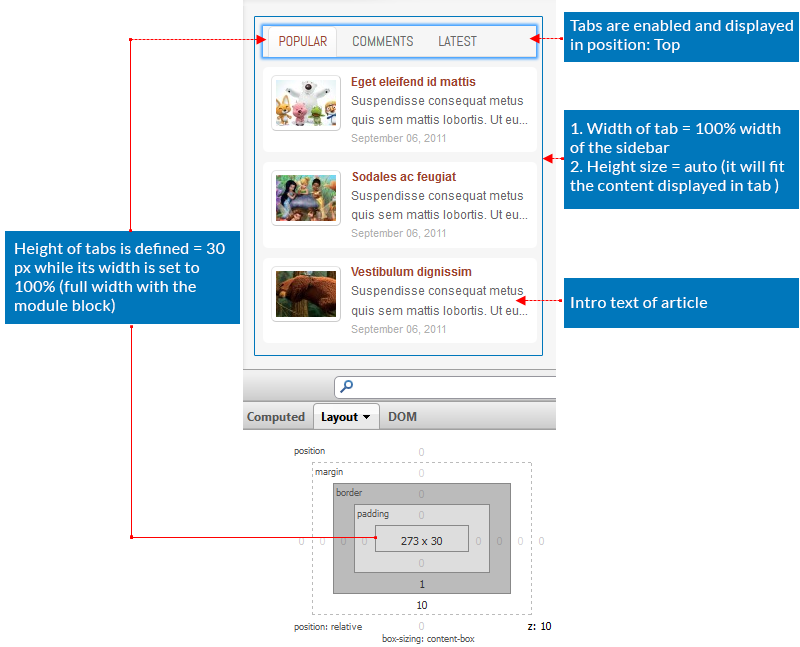 As the plugin just supports Joomla content so you can not use it for K2 content. 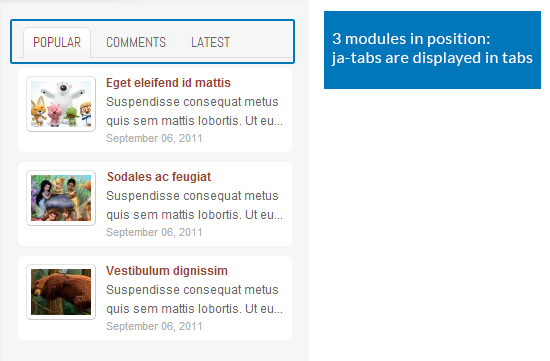 You can select to display tabs in a Custom HTML module or a Joomla Article. 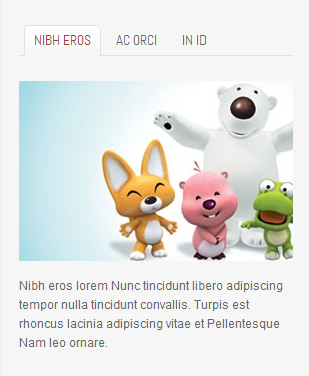 And the way to make tabs displayed in front-page for both Custom HTML module and Article is the same. 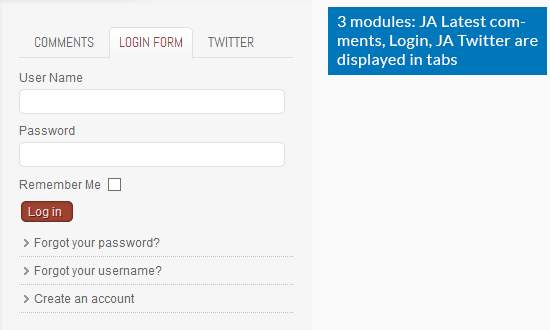 To get module name, open the configuration panel of the module, then copy its module name. To get article IDs, open the article manager page, then find the article you want to add to tabs, you will see a column for its ID. To get category ID, open the categogry manager page (Content >> Category Manager), then find the category you want to add its articles to tabs, you will see a column for its ID.